What’s up everybody, welcome back to my vehicle blog. It brings me great joy today to be talking about my favourite brand of cars, Maserati. I was really lucky when I was younger to get a Maserati watch from a contest, but these days the only thing I can afford is an owners manual (You can find pre-owned Maserati manuals online here http://www.for-sale.com/maserati-owners-manual, I bought one and am living my dream but don’t tell my girlfriend). I thought why not just blab all about Maserati then? They have a rich history, and some amazing cars out now. And at least they don’t have an emissions scandal going on right now. Maserati is an Italian owned car company, starting over 100 years ago in December of 1914 by the Maserati brothers; Alfieri, Bindo, Carlo, Ettore and Ernesto. The five boys had been involved with automobiles since the start of the 20th century. They worked together as a team of engineers and drivers at first, competing in races around Europe with 2 litre Grand Prix cars. Their first major victory however was the 1926 Targa Florio however, and after the race they expanded their lineup to feature 4, 6, 8, and 16 cylinder cars. The company didn’t retire from racing for over 30 years, after the tragedy that occurred at the 1957 Mille Miglia. The caused the company to shift to more of a touring model than their at the time famous racing model which ended up serving them very well. The company would experience moderate to extreme success varyingly until 1973 due to the oil crisis that happened around the globe. However Maserati was able to pull themselves out of the sludge and are known today as one of the premier sports and luxury car manufacturers. Since their inception in 1914 Maserati has expanded their lineup massively. Currently, they have 4 different vehicles on the market with two more upcoming in the next year or two. The Maserati Quattroporte is the ultimate in sporting luxury saloons. Currently on the market is the generation six of the Quattroporte, introduced in 2013. With three different cars in this years range, there is some amazing ones to choose from. The GTS features rear wheel drive and has 523 horsepower! For what can sometimes look like a fancy soccer mom car, the Quattroporte is an amazing piece of machinery. The recent iterations of the Quattroporte have included a bigger interior, making it a much better suited traveling saloon similar to other luxury models out today. By 2020 the Quattroporte is set to produce 560 brake horsepower for its V8, and included all wheel drive on all iterations. You can even build a Maserati Quattroporte online if you want! 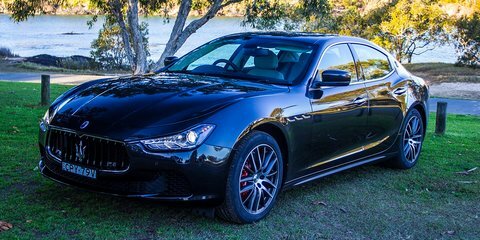 Another 4 door saloon from Maserati, however the Ghibli is perceived as the baby in the family as it was only introduced in 2013 in Shanghai. The Ghibli was introduced to compete with similar cars from BMW, Audi and Mercedes and so far has been making Maserati happy about the idea. The next release of the Ghibli is set to make 50,000 to 75,000 sales per year, which doesn’t seem like much but for a car this expensive it can bring in some serious change. The Ghibli is built in Maserati’s new factory in Grugliasco, Turin along with the new versions of the Quattroporte. The Ghibli is simply a beautiful looking car that has impressed the market, and it’s even what my used manual is from. The GranTurismo is the famous tourer from Maserati that managed to have a couple video games named after it. The car was introduced only in 2007, and discontinued as recently as 2014. There is however a revival set for this beautiful car in 2018. This new version is set to have 560 brake horsepower and just like all new Maserati cars is to have 4 wheel drive. The Maserati Levante is a crossover that was released in 2014. It was anticipated for over a decade after the release of the Maserati Kubang back in 2003 at the Frankfurt motor show, but the wait seems to be worth it. The Levante is offered in 350 or 425 horsepower, both with a 3.0L V6 engine. Judging by the price tag I will have to continue using an ATV for my off roading.